Each of our plaques are individually carved and crafted in 100% real wood. We have added two sawtooth hangers for your convenience and fast display! 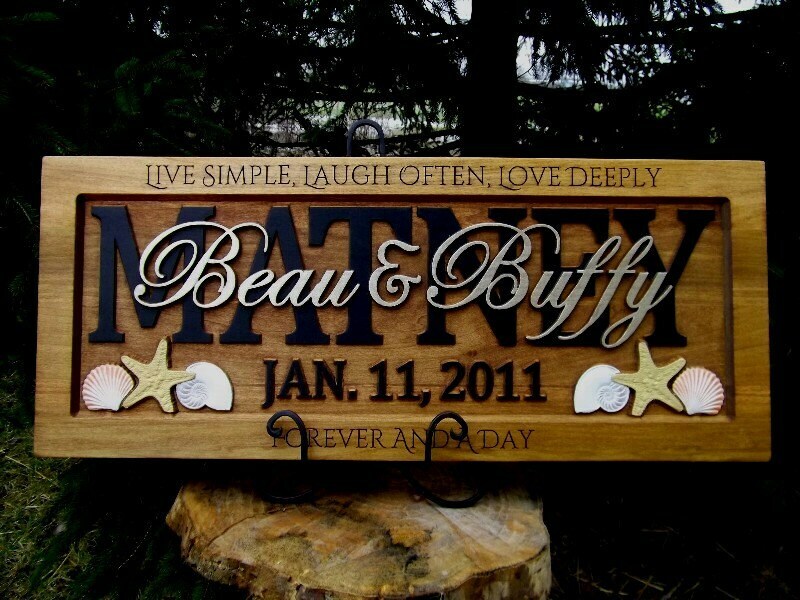 Personalized plaques are made to order, please allow 3 weeks plus delivery time. This will allow us to deliver your order prior to your important date. Contact us prior to ordering for rush orders, we will do our best to meet your delivery needs. Payments are processed through Etsy processor. We do not have access to your credit card information. Only Etsy does. All of your transactions are guaranteed to be safe. Shop with an ease of mind. Thank you. Once your sign is complete, we will then ship your sign via USPS. We ship insured priority mail (a signature of acceptance may be required), so it usually takes 3-5 business days for delivery. Please keep in mind weekends and holidays. 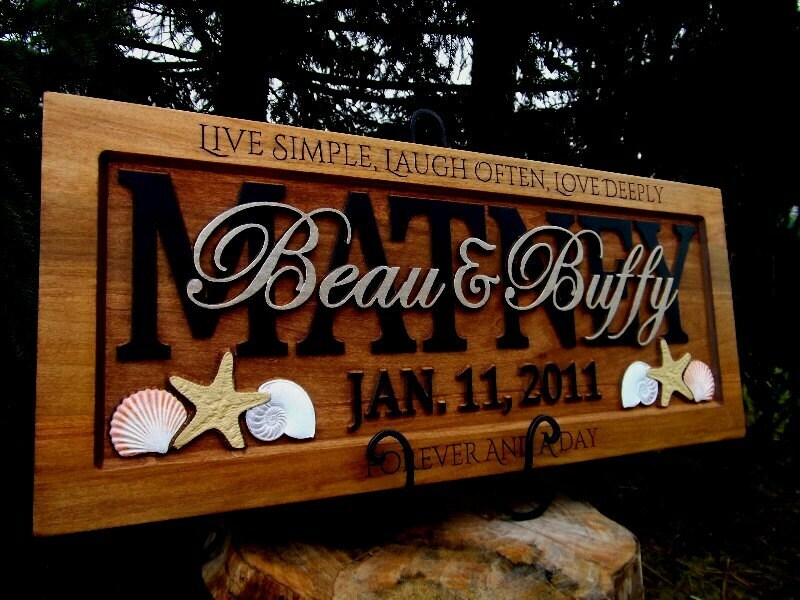 With our personalized, custom signs we do not refund or exchange them unless it is a mistake that we made. If it is a mistake that the buyer has made, we regret that we can't refund or exchange the sign, however, we will offer a discounted replacement. Because we use real wood, it will have natural characteristics such as knots and grains that add beauty to each piece and will make each sign truely unique and one of a kind. These characteristics of the wood are not to be considered defects and we can not refund for this reason. Once a custom order is approved it cannot be canceled. Following your purchase of a custom sign we will send you a design proof so you will have an idea what the sign will look like. Once the design is approved we will start production of your order If not approved within 24 hrs we will start production as drafted.